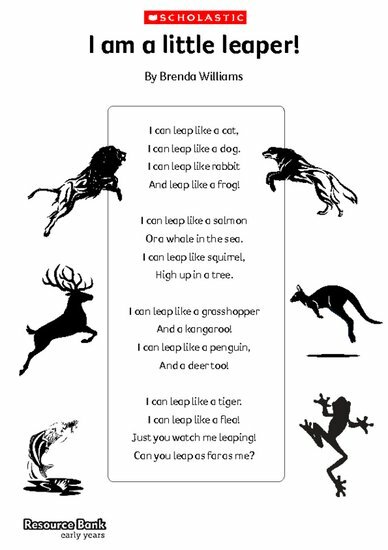 This poem is great for structuring a literacy activity around the theme of the leap year. You can also use it as a starting point for a physical activity. Get your children leaping like all the different animals! I am a little leaper!